Do your students LOVE the app Snapchat?? 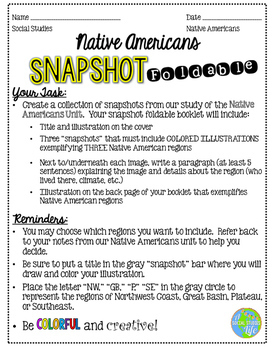 This popular foldable/project is a great way for them to create "snapshots" of Native American regions! • Students will write a paragraph (at least 5 sentences) next to/under each image explaining and details about the region (who lived there, climate, etc). 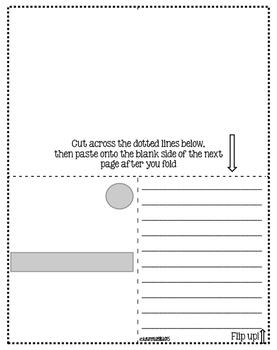 This foldable project can be given as in an in-class assignment/assessment or a homework assignment. It is up to teacher's discretion. 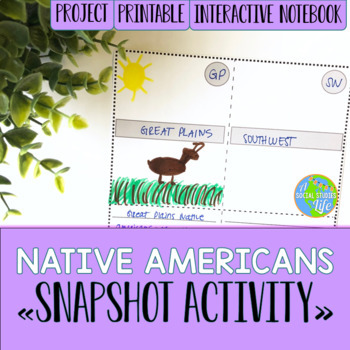 ★★Looking for my complete Native Americans UNIT BUNDLE for middle grades?! CLICK HERE! ★★ Looking for the digital, 1:1 version of this resource? Find it here!